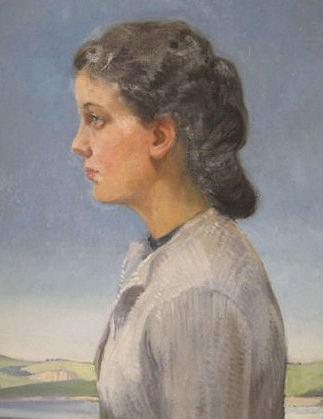 Portrait of Daphne Padden (above) painted by her father. 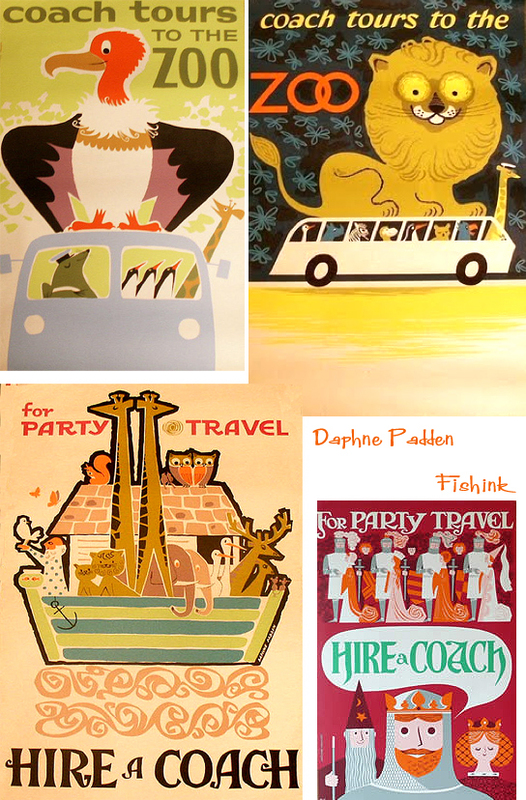 who was also an travel poster illustrator working in the 20’s and 30’s. 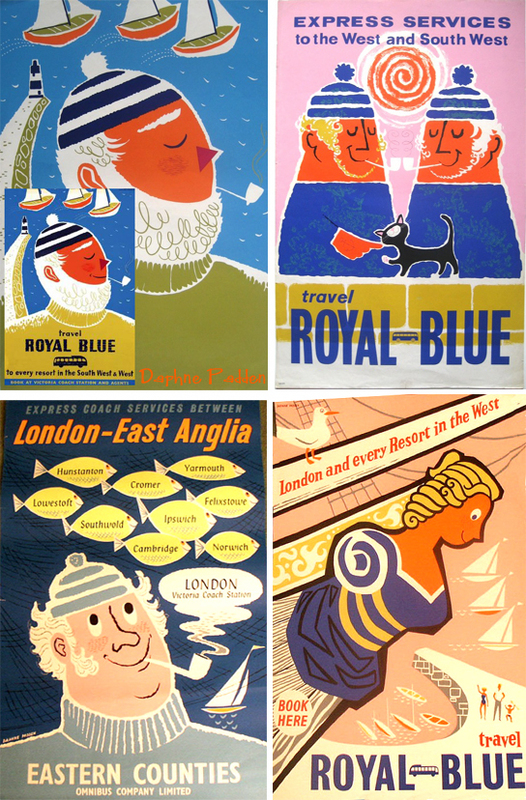 and in particular the Royal Blue Coach Services. completely different style altogether, sadly she passed away in September of last year. to keep amazing artists such as Daphne remembered in the public eye. As a great update to this post, one kind Fishink blog reader Aiden. shared a miniature he has of Daphne’s work. So interesting to see her range of styles. Thanks Aiden. ← Telegramme , lovers of art, music and the receiving of post ! Wasn’t advertising fun back then…..why have we become sooooooo serious !?? 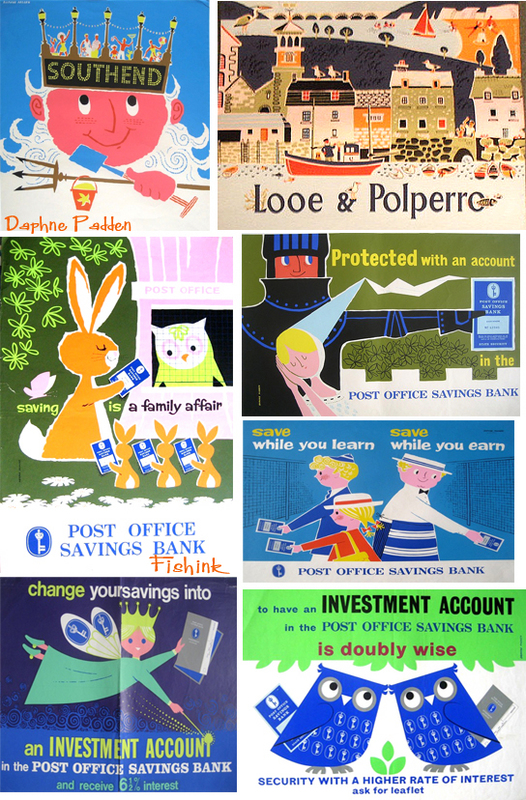 Thanks for the compliments – it’s great to see Daphne Padden getting just some of the attention she deserves! No problem. 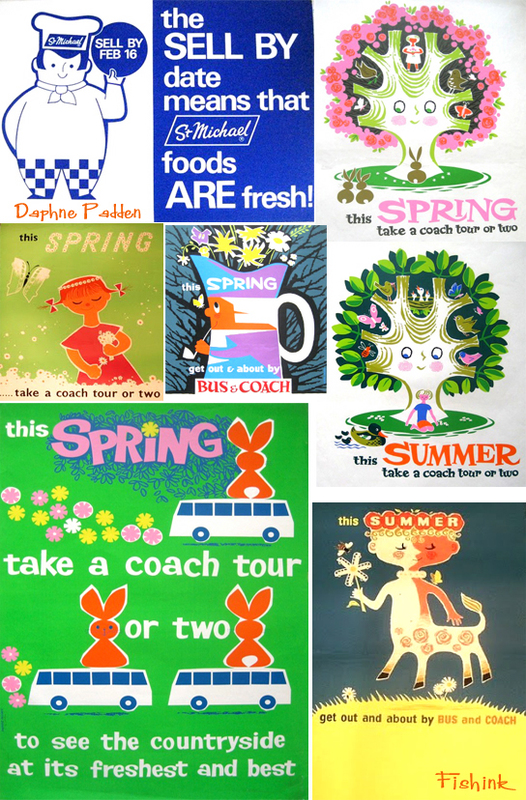 I’m wondering if anyone is writing a book featuring all these amazing designers from this era. I think it would be a best seller. I might just do that thing. Although I think Dorrit Dekk is pretty much the only one still living, which is a shame. I guess you’d be the perfect person to do it. Put me down for one reserve copy ! I’d love to do a book too but don’t have access to any illustrations like yourself. Did you see this article by the way. My family are related to Percy and Daphne – my grandad was Percy’s cousin – although we never knew until recently. My daughter is studying Fine art at university and is using Percy and Daphne’s posters to study. I love them! Hi Lesley, what a lovely story, thanks for sharing that with us. How wonderful to be inspired by things that our relatives did or created. Daphne’s work is truly inspirational. Very interesting comments about your family history and Daphne and Percy Padden. Thank you Rosemary, fascinating reading. Good luck with the exhibition later in the year, please send some photos and details of when it’s on . Thank you Fishink for your comments. My online exhibition starts on 1st September 2017 at http://www.lincolnjoyce.com/ or http://www.artgalleries.uk.com/. Not sure how to upload pictures to your site but I have had links put on our site so any visitors can visit your site. I recently came across Daphne’s “Royal Blue” set on Pinterest and absolutely Love them! I had a feeling I’d learn more about her here. 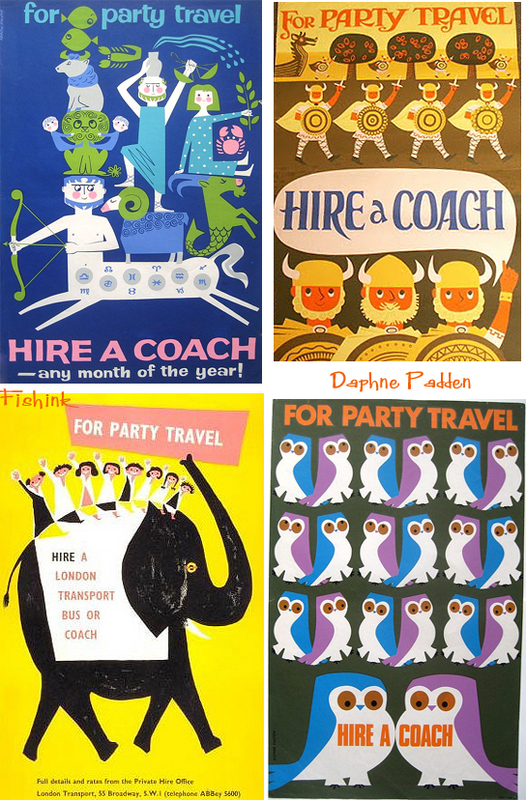 Think I love it all, great color combinations and humor throughout. Would be interested to see what she did as a fine artist. Congratulations on your 500th post!!! will check out more back editions now, see that other faves like Matte Stephens and Michael Sowa included … again great blog! Daphne had a beautiful way of illustrating, I’ve liked everything she’s created in this style so far. Many thanks for your support and comments. Please keep them coming, they do perk up my day too ! 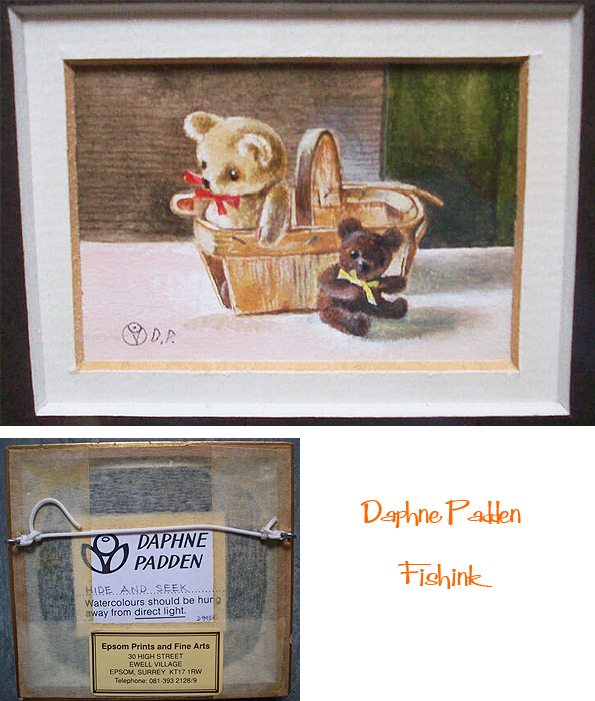 I am lucky to say i own a miniature water colour by Daphne which is not of her normal style. I would but i am unsure how to post it, it is called hide and seek depicting two teady bears one in a fruit basket and one sitting in front of it. A true miniature measuring only 2.0ins x 1.25ins well thats the visible picture. If you can tell me how to post it i will be very pleased to do so and thank you. Aiden if you can take a photo, put the image on your computer desktop and then attach it to an email to craig@fishink.co.uk that would be great. If this all sounds a little unfamiliar or confusing, ask any teenager and they will do it for you : ) Good luck and looking forward to seeing it too. Thanks Shelby for letting me know. It is pretty wonderful isn’t it . 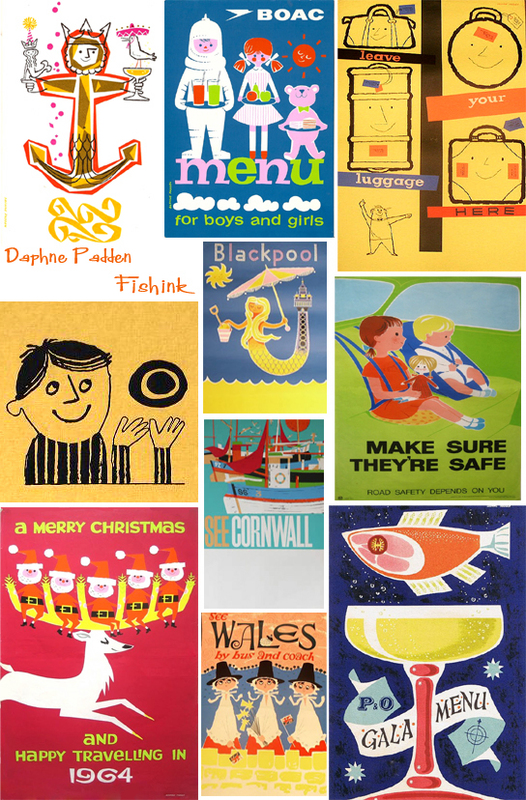 She also did a really cool anchor brochure design when she had P&O Lines as a client. Love your blog by the way, I think you also did a great post on Juliet Peter I remember seeing. Thanks for your comments and thoughts on my blog.. much appreciated.